Wow! The things you learn when you undertake an A-Z Blogging Adventure. When I decided to highlight nutmeg for N, I had no idea there was so much to know. First of all, nutmeg comes from an evergreen tree native to the Spice Islands of Indonesia called a Nutmeg tree or Myristica fragrans. When I first read evergreen tree, I was picturing a tree with needles, but that is not the case here. It is a large tropical tree with broad, leathery leaves. Nutmeg is actually not a nut at all, but the pit of a fruit about the size of a peach. When the fruit splits open, the nutmeg pit is covered in a hard, bright red webbing. This webbing is removed and dried and becomes the spice, mace. I had no idea that mace and nutmeg came from the same tree! Nutmeg is has a warm, piney scent and flavor and can be used in both savory or sweet foods. It is an important component of drinks like eggnog and Brandy Alexander, classic Bechamel sauce and creamed spinach, not to mention all the sweet baking applications in which we typically use nutmeg. 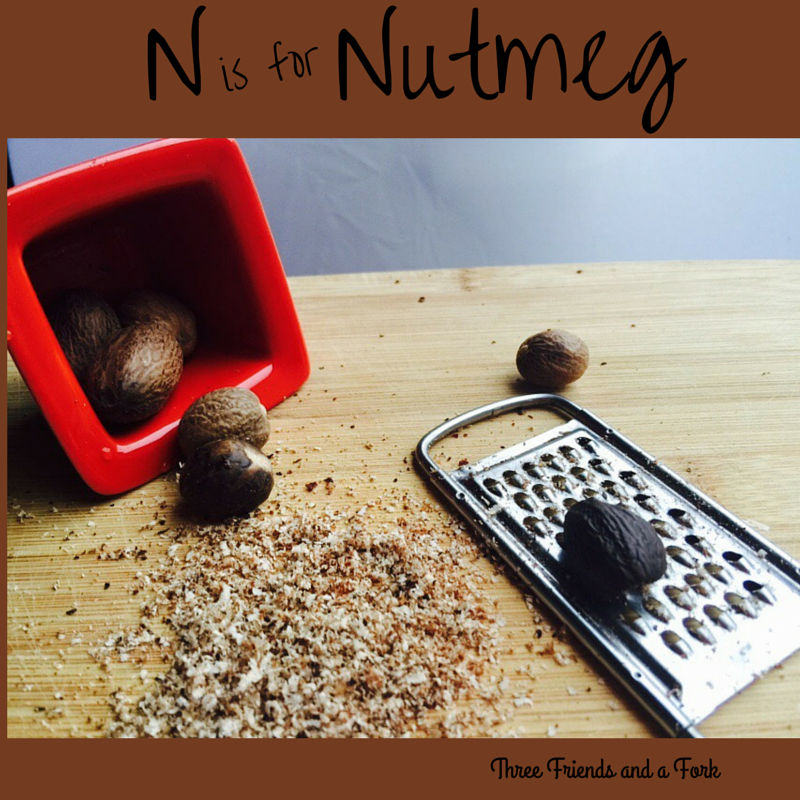 Nutmeg is best purchased whole and grated with a fine grater when it is needed. Ground nutmeg uses its flavor quickly, so avoid buying large amounts of ground nutmeg to store. Nutmeg is potent and a little goes a long way. Along with cinnamon and cloves, nutmeg is one of those spices that remind us of autumn and that we often use in our fall baking. While I don't use nutmeg nearly as much as I use cinnamon, there are some dishes that need just a pinch of nutmeg. 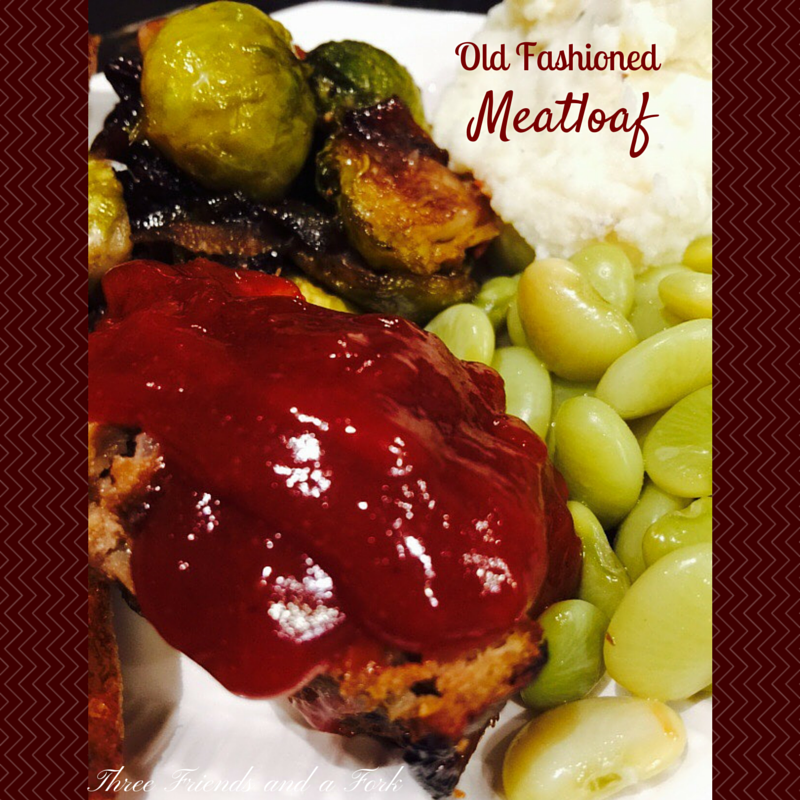 When I make meatloaf, I put a small amount of nutmeg in the sweet ketchupy sauce that goes with my meatloaf. Have you used nutmeg lately? If not, give it a try. It is sure to warm up and sweeten any dish.